Expedition Waddenland connects extraordinary sites and projects with each other. These projects and sites give a different perspective on the dynamic tidal land of the Wadden Sea and deepen the commitment of the inhabitants and visitors to this UNESCO World Heritage site. An innovative combination of landscape development, natural and cultural heritage, human stories and encounters. A unique journey of discovery, where you can experience the magic and mystique of the Wadden through the stories told about it. An important catalyst for cultural tourism as a significant economic factor. We are consulting with renowned landscape architects and artists for the content and design of Expedition Sense of Place, such as Adriaan Geuze, Daan Roosegaarde, Robert Wilson and Peter Greenaway, as well as sustainable partners such as Groninger Landschap, It Fryske Gea, Staatsbosbeheer and Rijkswaterstaat. 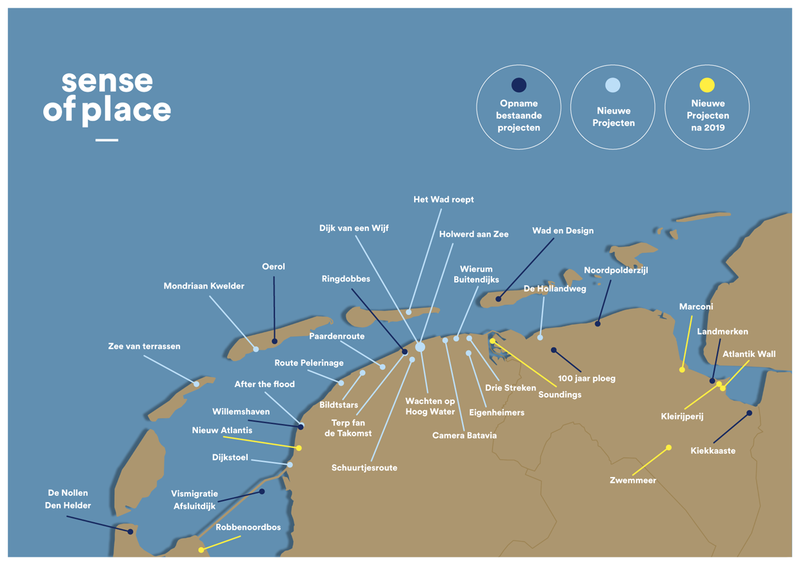 The first stage of the trail extends from the head of North Holland to the Dutch-German border and has five clusters, that is, the Afsluitdijk, Harlingen, Holwerd, Lauwersoog and Eems/Dollard. In the next stages, projects in the German and Danish Wadden will become part of the trail, which will unlock the Wadden as a UNESCO World Heritage site for inhabitants and visitors. 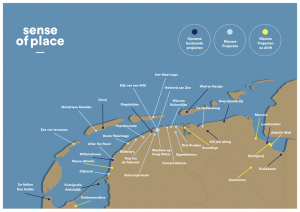 The international Expedition Sense of Place will eventually run from Den Helder to Esbjerg.